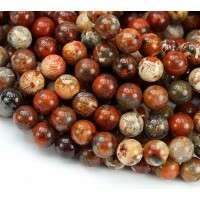 African Turquoise is known for its beautiful black, brown, and cream inclusions on a natural teal colored matrix. 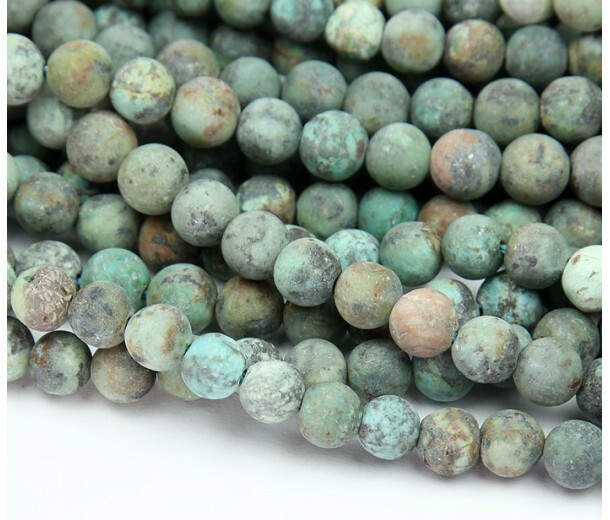 These stones are an inexpensive alternative to traditional turquoise, as they feature similar markings and unique coloring. 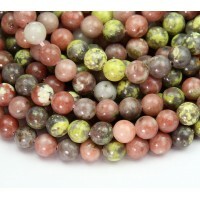 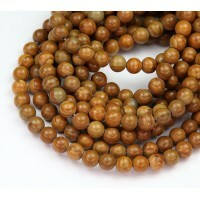 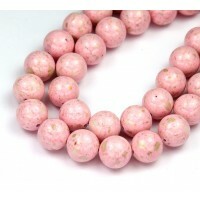 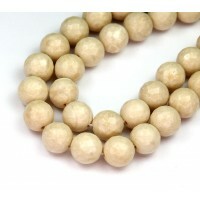 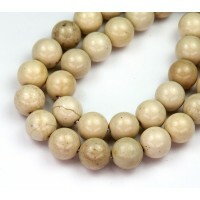 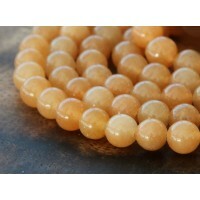 These beads have also been given a trendy frosted finish.